This article is published in partnership with LogMeIn, simplifying how people connect to their colleagues, employees, devices and the world around them. Although we’re operating in the cloud, we aren’t securing it. Cloud security is one of the least common security measures, yet a third of respondents said critical pieces of their business are in the cloud. Users are creating challenges around IT security. When asked about employee behavior, 70 percent of IT pros say that they are concerned that their colleagues are causing risks, yet they don’t prioritize user training. Another 29 percent said that employee apathy is a threat to company security. There’s little confidence. Nearly one-third of respondents (30 percent) said they believe there is nothing else they can do to protect the security of their company. 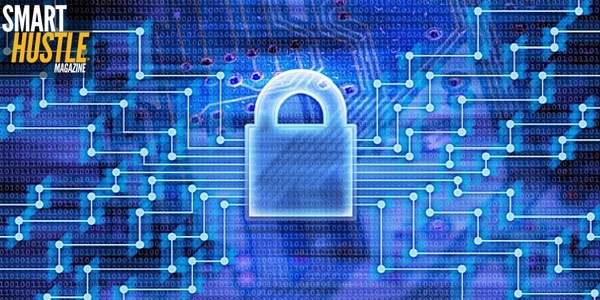 4 steps to improve your #ITsecurity from @LogMeIn. The survey indicated that this was a low priority for IT pros, but in reality, it’s one of the easiest ways to improve your organization’s security posture. Offering training or even sending around regular emails with general tips and best practices will help your employees better understand the type of behavior that puts the company’s cybersecurity at risk. You’re likely managing tens or hundreds of computers, so it’s nearly impossible to know what’s going on with each machine. IT automation software such as LogMeIn Central allows you to manage all of your computers through a centralized dashboard where you can view status, set up alerts to get ahead of problems, automate routine tasks, and much more. Passwords represent the first line of defense - a strong, unique password that is regularly changed can make a big impact on your organization’s security posture. Investing in a password manager to keep shared account credentials secure and generate new, unique passwords is a cost-effective solution to improving security. More organizations are transitioning to a Bring Your Own Device (BYOD) environment, which makes securing your data a greater challenge. If you don’t already have a BYOD policy in place, it’s critical to implement one and be sure to evaluate it and update it to provide guidelines around using two-factor authentication, connecting to public WiFi and banning risky apps from connecting to the corporate network. In the modern era of cloud computing, IT security is more critical than ever. Taking the steps above will help to improve organization-wide security and provide a foundation for a secure corporate environment. LogMeIn has grown to become one of the world’s leading SaaS companies with over 800 employees in 8 offices around the world. Having connected over 300 MM devices to a LogMeIn cloud service since 2003, we have not only capitalized on but fueled the modern way of working – remote, efficient, mobile, productive.